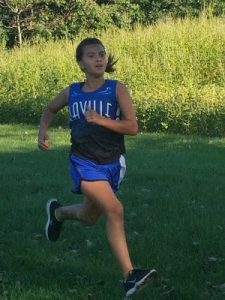 LaVille High School and LaVille Junior High School co-ed cross country is finding personal success as the 2018 season moves to the final portion of the season. 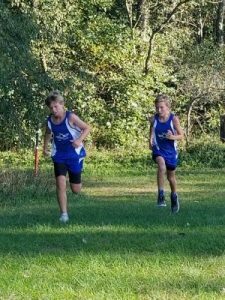 Recently in a meet at North Judson-San Pierre Jr-Sr High School, all teams enjoyed more comfortable temperatures. Eighteen runners recorded season personal best. In the varsity event, no team had a full team out of 9 runners. 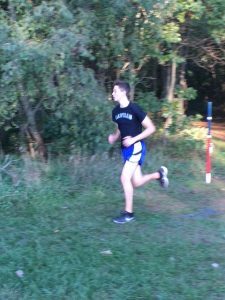 LaVille’s Connor Henry finished fifth in 22:22 and Caleb Christy sixth in 23:39. Both runs were personal best. 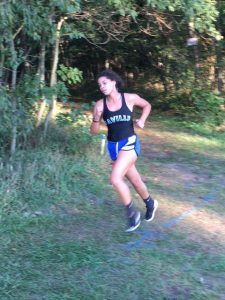 In the varsity girls race of 12 runners, LaVille’s Faith Rock came away with the Lancer top finish at fifth (24:25), Eve Miller ran a 28:23, and Airyona Nies 29:13. Once again, all personal best times. In the junior high race, the junior Lancer girls came up just short, 32-43. LaVille’s Atlanta Krom led the way with a second place finish, Lauren Edison fifth, and Envy Hesch sixth. There were a total of 22 runners. The LaVille junior high boys team defeated NJSP, 28-29. 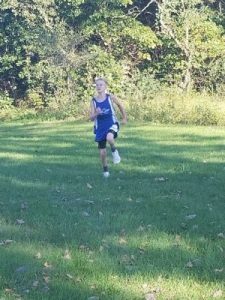 Top Finishers for the LaVille boys were Lincoln Hulsey second, Cody Allen fourth, Ryan Maenhout fifth, Colin Christy seventh, Sam Sherk ninth, & David Rock 10th out of 20 Runners. Both Lancer squads came away with big personal wins against Bremen at Jane’s Park. Every runner achieved a personal best during the contest. Top Finishers for the junior Lancers: Lauren Edison 10th, Lincoln Hulsey third, Cody Allen fifth, Ryan Maenhout seventh, Colin Christy ninth.